“Mr. Friar, what does paradox mean?” In my many years of teaching, I have fielded a variety of questions from students with a relative thirst for knowledge. Some ask with a genuine desire to know; others out of an attempt to trick the teacher into an interesting but irrelevant tangent from the lesson at hand. But I sensed that today’s query into the meaning of a difficult theological word was coming from a need deeper than idle curiosity or a mere thirst to know. And as the day progressed and my second assignment as a 5th grade substitute for a local Catholic elementary school concluded, the need of this particular student for meaning was revealed. “Where on earth did you discover such a word?” I asked. 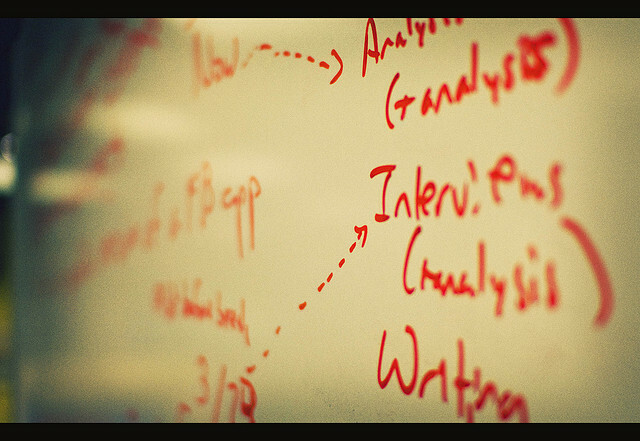 One of the keys to making sense of an unfamiliar word is the context in which it appears. “I saw it in one of my video games,” came the reply. Holding back a judgment on this generation and how it likes to expand its semantic range, I proceeded to write the word on the white board and derive its literal meaning from the two Greek roots in its base: para “beside, alongside of”, and doxa “glory/worship”; attempted meaning, “the glory that comes alongside of glory”. At this cryptic definition, most students would furrow their brow and require additional explanation. But the light of understanding was already dawning in this young man’s heart as he exclaimed, “Oh, I see. This quality [about one of my video game heroes] is about his power.” Again, I perceived that answer meant more to him than just advancing to another game level, and I wanted to proceed to a more precise definition, but throwing G.K. Chesterton at him and his magisterial command of the term would have missed the mark. The full reason for his interest and a better definition of the word was not revealed until the end of the day. Two events marked the day’s end for the fifth grade: a time for students to individually share a current event they saw or read about in the news and a surprise school-wide celebration for a departing staff member. The first event was proceeding in a relatively perfunctory way with classmates expostulating on things like the growth and abatement of Google’s stock, matters about which they had only a faint personal connection. All until my paradoxical student took the floor to report firsthand on two events right outside his door. Coming from one of the roughest districts in Boston, he described in heart-wrenching detail how, in the space of one week, a person on his street was murdered and another one hit by a car… I looked up from my desk at the vocabulary word that still stood prominently scrawled on the white board. “What meaning, Lord,” I silently prayed, “could possibly come from such a fine young man’s continued exposure to this violence? How can knowing about paradox help?” Watching or reading about the latest shootings in the news is nothing next to meeting someone personally affected by this random calamity. I was at a loss for words until the second event transpired. 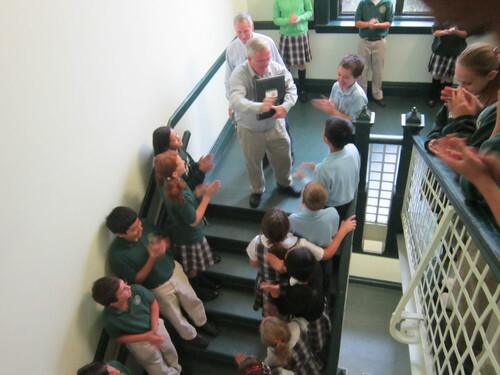 The departing staff member had been with the school for close to 30 years, and his presence was felt in every crevice of the building, every corner of every room. Usually for arriving or departing dignitaries, it is appropriate to bring out the full force of an institution, to exercise the entire power or authority invested to honor the occasion. Since the greatest riches of a school is her student body, for this particular occasion, the entire school was assembled up and down all the hallways, from the top of the third floor all the way down to the garden level. When the guest of honor arrived surprised, he was greeted by a 200+ strong student body, grades K-8 all chanting his name, “Jerry! Jerry! Jerry!” This event was made even more moving because of the identity or work of this staff member…. He worked for 28 years as the school’s janitor. As I left my temporary teaching assignment today, I thanked God for words that could only be defined by prayer and for the joy of meeting such a manly-minded youth whose exposure to suffering was achieving for him a glory that far outweighs it all. This entry was posted in Teaching Stories and tagged G. K. Chesterton, janitors, paradox by Mendicant Monk. Bookmark the permalink.